A new way to capture when drugs are ‘cost effective’ but not ‘affordable’ looks set to be introduced in England. But are there any alternatives? asks Leela Barham. The National Institute for Health and Care Excellence (NICE) and NHS England (NHSE) are proposing to introduce a new ‘budget impact threshold’ in 2017 to measure a medicine’s impact on NHS budgets. The plan is for this to be added in to the timeline for appraisal. It could delay implementation of positive NICE guidance, and help the cash-strapped NHS deal with pressures on the budget. This is because ‘cost effectiveness’ and ‘affordability’, while sounding similar, are, in fact, very distinct ideas in the way that they are approached in practical terms in the NHS even if, in theory, you could tie them together. The new rule is being proposed perhaps to prevent what happened with Gilead’s hepatitis C Sovaldi (sofosbuvir) in 2015. NICE found that, despite the high price tag – around £35,000 per patient for a 12-week course – Sovaldi was cost effective. In other words, the value of Sovaldi was high as it cured patients of hepatitis C and prevented potentially fatal (and very costly) progression of the disease, including the need for a liver transplant, as well as reducing onward transmission of the infection. NHSE baulked at the actual cost to the health service: NICE estimated the budget impact was over £100 million, even allowing for savings from avoided infections and reduced treatment times. NICE and NHSE are proposing a ‘budget impact threshold’ of £20 million in any of the first three years of launch, above which what amounts to a commercial negotiation will be triggered. The plans are certain to be unpopular with the pharma industry, but may help to manage another Sovaldi swamping NHS budgets. But the proposals are just one way to bring in considerations of budget impact, so what other options are there? Aside from the approach to Highly Specialised Technologies (HSTs) or ultra-orphans, NICE has not had to take into account the real-world budget impact of a new medicine when appraising it. That doesn’t mean that budget impact is completely ignored; NICE staff do estimate budget impact (they call it resource impact) but this is not formally a consideration used by Appraisal Committees, except in so far as the higher budget impact would impact on the greater need for certainty on cost-effectiveness. Under HST, the interim methods do explicitly include budget impact as part of the Appraisal Committee deliberations. The Committee has sought further information on budget impact to help it come to recommendations in practice too: for example when considering Alexion’s Soliris (eculizumab). In this case, the Committee sought further information from NHSE, as the payer, on the considerations on the specialised services budget. A different option altogether, and one advocated by some academics, is to incorporate budget impact more formally into HTA considerations. The most radical of ways to bring budget impact into HTA would actually see the cost-effectiveness threshold change in light of budget impact; the rationale is that the cost-effectiveness threshold represents the opportunity costs of spending on one new intervention. Given that there is more that could be spent on by the NHS than money available, something else needs to be given up. When budget impact is particularly high, more has to be given up. So a new medicine would need to be judged against a tougher threshold than where budget impact is lower. Dropping the threshold would undoubtedly be controversial. Clearly it would have an immediate impact on what NICE would say ‘yes’ and ‘no’ to. It would also reignite a vociferous debate on just what number (or range) should be adopted for the threshold, including what method to use, what assumptions need to be made and, frankly, what is politically acceptable. The NICE and NHSE proposals effectively suggest just this, with some nuances. NICE would work out budget impact, NHSE would determine the threshold that would trigger negotiations and NICE could facilitate that discussion. NICE committees won’t formally consider budget impact when making their recommendations. That would be the case for HSTs as well as for other products, marking a change from the existing methods for HSTs. The devil is in the detail, though. 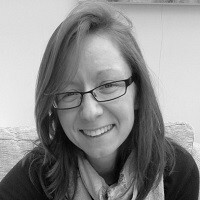 Critics will point out that the choice of budget impact threshold (£20 million in any of the first three financial years after launch) lacks a clear rationale, and that formalising the option for NHSE to seek a delay where NHSE and companies can’t agree on how best to manage affordability, may well mean that patients face the cost of delay. There may be some questions about whether the proposals are, strictly speaking, in line with legislation too (although I’m no legal expert). When thinking about the attractiveness, or not, of the options around budget impact, it’s worth stepping back and looking at the current situation. Of course, the NHS has not been able to ignore budget impact, even if NICE Committees have been able to. The NHS is legally required to fund positive NICE technology appraisals within three months (for reasons not clear to many, NICE clinical guidelines don’t have the same funding requirements). As mentioned earlier, Sovaldi first presented a major problem of a cost-effective drug that was at the same time judged unaffordable for the NHS. So how did the system deal with this conundrum? NHSE drew on the provisions for a delay in implementing NICE guidance that had been, up to February 2015, an unused part of the legislation underpinning NICE, and asked for a delay in the implementation date. That legislation permits NICE to allow longer than three months for implementation when there is a need for training, health infrastructure requirements (goods, materials or other facilities) or other appropriate health services resources, including staff, aren’t in place. NICE also needs to consult stakeholders. NHSE asked NICE for the delay for Sovaldi on four main counts; time for the group tasked with service redesign for Hep C, substantial demand for treatment including a backlog, the need to set up a Hep C network of clinics, and establishing a national database and dashboard to monitor and support care. 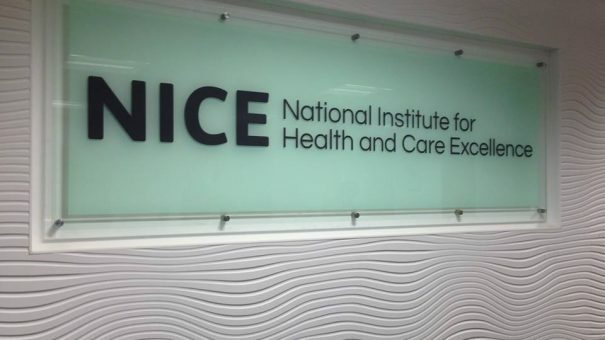 NICE didn’t accept all of these reasons, revealing tension between NICE and NHSE. In the end, NICE granted a delay but only with the proviso (asked for by the Department of Health) that arrangements were made to provide access for the most seriously ill patients. NHSE set up an £18.7 million fund for 500 patients with acute liver failure. NICE permitted the delay to implementation on a specific ground; ‘that the treatment cannot be appropriately administered until certain health service infrastructure requirements…are in place’. It is worth noting that this was not explicitly on the grounds of managing affordability. NICE guidance was published on 25 February 2015, but NICE permitted implementation from 31 July 2015. The Hepatitis C Trust sought permission for a judicial review (JR) to challenge the NHSE approach of what amounts to staged access for Hep C patients. NHSE committed to treating 10,000 patients in 2016/17, 12,500 in 2017/18, and 15,000 in 2021. Of the different ways to bring in budget impact considerations, arguably the NICE and NHSE proposals may represent the least bad of the options. The current situation led to the tortuous approach to Sovaldi. Starting from a question of how to improve – and there is much that can be improved about them – the proposals may well be preferred to the alternatives.